We recently hosted a webinar about book cover design, and had nearly 1,000 authors register for the event. 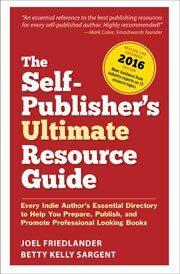 That’s not surprising, because one of the first things authors learn is that you need an effective cover on your book to put yourself in the best position to succeed. We’ve been selling pre-designed book interior templates for five years. Tens of thousands of authors have relied on our pre-designed, industry-standard book interiors to turn their manuscripts into print and ebooks. Now we’ve added a brand new pre-designed cover service to provide a complete solution for your book design needs. We partnered with award-winning cover designer Tanja Prokop because Tanja is able to design covers in a wide variety of styles that appeal to readers in a variety of genres, both fiction and nonfiction. We do all the customization for you, we don’t just send you Photoshop files to figure out for yourself. Our files are ready to upload. Prices start at only $99 and we upload new covers every week. Your cover is your property and belongs to you, including copyright to the cover art and design, so you pay once and use it forever. We include mock-ups for marketing purposes free of charge. If you find yourself in the position of being short on time, this could be a great solution for you. Typically it takes 4 to 6 weeks from start to finish to get a cover designed. And that’s fine if you have the time, but sometimes you don’t. A pre-designed cover from our collection can be customized and delivered to you in as little as 24 hours. Likewise, if you have a very tight budget—and many authors do—or if you’re not sure you want to commit the money it takes to have everything custom designed, one of these covers could be a real boon.